OK, so this time last month we were just coming to terms with Leeds United’s late-season slide out of the play-off zone. The season wasn’t quite officially over, but it was for us, as Leeds United had snatched despair from the jaws of probable impending despair a few weeks later. Finishing seventh and watching the play-offs unfold without us did have its benefits though. It’s true that football fans have a natural passion for schadenfreude and we certainly revelled in the misfortune of others during the month of May, as the shattering impact of a play-off defeat hit home with the force of a ten tonne truck for three of the four clubs who just a couple of weeks earlier had taken great delight in our miserable displacement into seventh spot. Did it make up for Leeds United failing to reach the play-offs after spending most of the season in the top six? Well, it certainly helped, and you like to think that having reacquainted ourselves with the fraught and precarious nature of the play-offs after five years away, we might just be better prepared for them next time around. But the truth is that nothing can prepare you for your whole world collapsing around your ankles at the mere stroke of a penalty kick, and maybe the lesson to learn is that it’s never wise to get too cocky about the play-offs until you have actually won them. Or perhaps the lesson is that life would be a whole lot easier if we just marched majestically towards the top two with no such worries? And that should now be our aim. 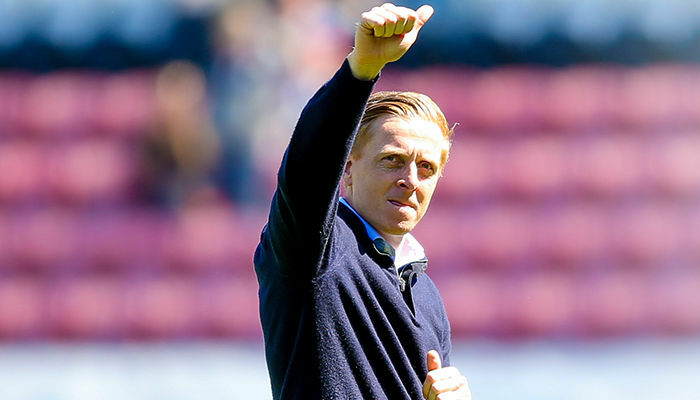 Of course a month ago we felt pretty confident that the 2016/17 campaign would act as a platform to next season, and Garry Monk would continue the fantastic work he had started. The reception he and his staff were afforded at Wigan away on the last day of the season certainly suggested a strong bond had formed and we would at least enjoy some continuity in the transition from one season to another, for the first time in many years. Alas, it was not to be and in the space of just a few days the whole scene changed at Elland Road. Again. The full 100% takeover of Andrea Radrizzani was a badly kept secret for many months, and that went through swiftly and cleanly in May, and we all settled down to enjoy a summer of building on the strong foundations in place. On his first day in office, Radrizzani managed to secure a new 4-year contract for midfielder Ronaldo Vieira, and in an instant managed to change the club’s outlook and reverse the short-termist methodology that had seen a stream of young stars leave for next to nothing. Now we have a clear message that we see our future with blossoming talents like Vieira staying with us, but even if he improves at a rate far greater than the club does over the next couple of season – as many others have in recent years – then at least we will get a fair market price for him now he’s on a longer deal. If Day One of Radrizzani’s reign had us dreaming of a corner finally turned, Day Two presented us with an upturned rake around that bend, which soon hit us squarely in the face as we attempted to make more positive steps forward. It all seemed set up for Garry Monk to extend his stay at Leeds United for another season and hopefully agree a longer term deal over the coming months, but for whatever reason he decided his future wasn’t with us. The news came as a body blow, and it was hard to get away from the feeling that last season now counted for nothing, but as the days pass you learn to deal with it and move on. As I write, there is no concrete news about who the next Leeds United manager will be, but it is clear that a more professional set-up is being built behind the scenes at Elland Road and the club is stepping up a level in terms of modern football, a whole business outlook and a quality of recruitment, and there is more expectation rather than simply blind hope, that the next manager will be a considered and measured appointment with a longer term view. Certainly the early days of the Radrizzani era point towards exciting times and Leeds United looking more like a 21st century football club. 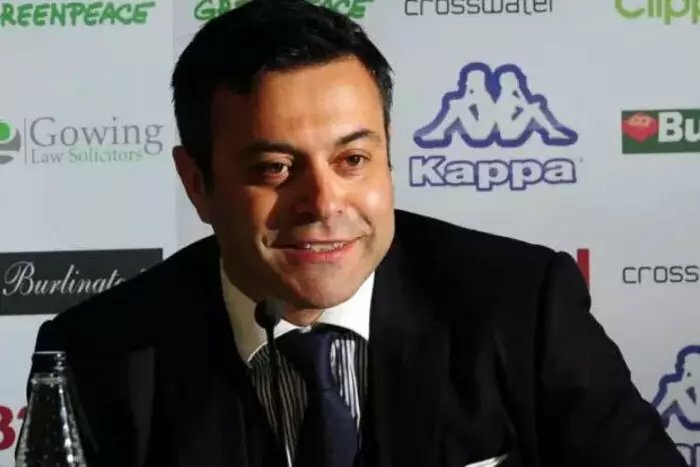 That isn’t necessarily a good thing in some respects, when you look at many aspects of the modern game, but there is at least the impression that Radrizzani has his head screwed on, is surrounded by good advice and has made a success of pretty much everything he has touched in the past. We don’t need wild promises he can’t keep – although he has already claimed he will buy back Elland Road in the summer, like every other owner – we don’t need soundbites, charisma and celebrity stunts, we don’t even need him to pop over to the pub on an afternoon for a photo opportunity, although he is more than welcome to sample our lunchtime menu and a pint of Yorkshire Blonde between meetings, any time. We just want the owner of Leeds United to be a respectful guardian, to listen to and embrace our massive fanbase, to appoint the right people to run the club in the right way and to release the huge potential we all know Leeds United has. At the Old Peacock, we are certainly excited about this new era, and if we look out across our front car park we can already see scaffolding up on the West Stand, and a long overdue facelift for certain areas of our beloved ground. If we’ve learnt one thing in recent years it is that actions speak louder than words, and Radrizzani appears to be wasting no time in making an imprint at Leeds United, and let’s hope that continues. We will certainly keep an eye on the old place over the summer, for any of you Leeds fans exiled away from the city, and there is plenty going on at the Old Peacock too as we take a step back and a breather from the madness of our Leeds United match days, and make our own plans for next season. Your match day enjoyment doesn’t just happen by accident and we have already started discussing what we can change and improve on for next season. So just like Leeds United and Elland Road itself, rest assured the Old Peacock will be back and looking better than ever in August.